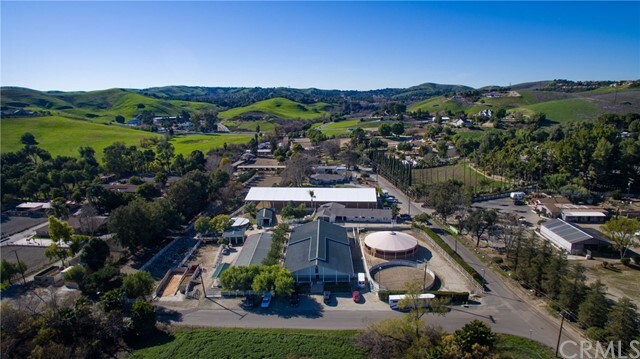 All Chino Hills homes currently listed for sale in Chino Hills as of 04/19/2019 are shown below. You can change the search criteria at any time by pressing the 'Change Search' button below. If you have any questions or you would like more information about any Chino Hills homes for sale or other Chino Hills real estate, please contact us and one of our knowledgeable Chino Hills REALTORS® would be pleased to assist you. 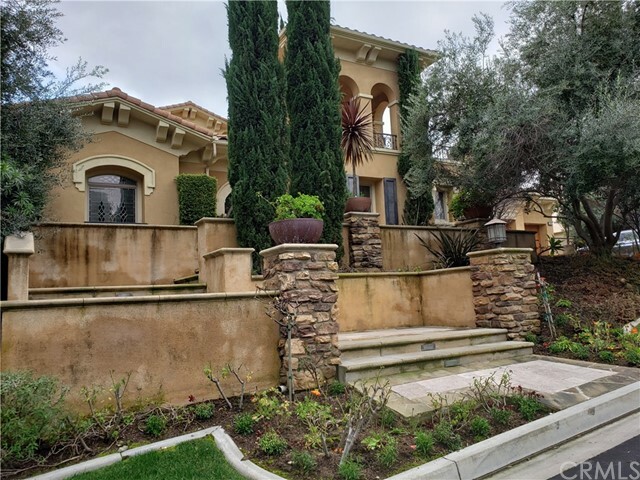 "Spectacular Mediterranean Estate in the prestigious Vellano Country Club of Chino Hills. This magnificent mansion is entered through Motor Court iron gates leading to a driveway winding past manicured grounds to a gracious and elegant custom designed oversize double iron and glass doors. The dramatic entry foyer leads to the two-story high living room, with access to the outdoor living via two sets of French doors, is set apart from the dining and foyer area by Tuscan Columns. Imported Marble flooring lie beneath expansive chandeliers. The hand painted crown moldings, wall panelings leading to an elegant dining room. Impeccable kitchen is equipped with top of the line appliances, custom cabinetry and a large center island. Generously appointed 6 bedrooms with custom closet organizers, two staircases and an expansive elevator. The amenities and rich materials include handsome stone, custom Venetian plaster walls, detailed solid wood panelings and crown molding library, state of the art media room and the spacious second kitchen. Upstairs you will find a sprawling master suite with an enormous rotunda sitting room looking out to the amazing city light views. It features the sumptuous bath and fireplace. The stunning resort-style grounds offers an outdoor full kitchen, plenty of sitting areas, stone fireplaces, sparking pool and spa, all of which is accentuated by the residence's magnificent architecture. This meticulous estate offers the luxury style living at its finest." "Realize your dream of having an Equestrian Training Facility as complete and well designed as this property and in a premier location. True horseman have been involved every step of the way to create the finest Ranch offering available today. A profitable business, elegant enough for high end sale horses, yet functional for training top Grand Prix level equines. Brand new covered and lighted show arena with engineered footing & full side mirrors, adjoining customer lounge for viewing and outdoor entertaining areas surrounding the main arena make this the prefect setting for clinics. Beautiful barns provide 48 stalls for show horses, tack rooms, feed rooms, wash racks, cross ties, stocks and shoeing racks. All have mats over concrete flooring, drains, lights, fans, and plenty of electric. Two large professional offices, Customer Locker Room, His and Hers restrooms, Vet room, numerous customer tackrooms and storage rooms galore. Workers apartment for on-site living of caretakers, full work shop, Hay storage, shavings and manure bins all with easy access. Three large turnout pastures, secondary jumping arena with viewing stand, 60' covered round pen and a second 60' lunging pen. All of this and a lovely ranch style single story view home with over 3750 sq. ft. of living space w/ 4 bedrooms, 4 bathrooms, living room with fireplace, family room with western style built-in oak bar, remodeled kitchen, huge bonus room, exercise room, patios and covered RV parking. See Video!" "Located in the Vellano, this enormous estate home boasts Italian Old World architecture in a Tuscan design by Cornell. Interiors built with unmatched quality and craftsmanship. Every detail has been lovingly attended to in this magnificent 9500 SF residence. Dramatic entry, striking ceiling features and heights, stunning double wrought iron staircase, elegant designs and modern features that are unsurpassed provide a feeling of grandeur & expanse. 5 bedroom, 7 bath home. Features; a stylish Great Room, a replica of the Beverly Hills Hotel design with a custom wrought iron ceiling, grand fireplace & more. Master suite includes a romantic fireplace, spa-quality bath & twin walk-in closets. A gourmet double island kitchen with top quality Viking appliances, Butler's walk-in pantry and most exquisite cabinetry and fixtures. Imported Italian chandeliers throughout, custom brick barreled ceilings, Venetian plaster, concrete columns, faux paint. Climate controlled wine room. An elevator. Theater room, leather reclining seating & imported Shooting Star ceiling. An expansive entertainment room with an over-sized bar, lots of room for dancing and festive occasions. Six car garage includes a limousine style tandem. Massive second level balcony & huge resort like rear patio, Infinity saltwater pool & spa, fire & water features, covered piazza with a built-in BBQ grill, granite counters, spacious bar, multiple areas to enjoy TV watching. An amazing view of city lights and mountains." "Exquisite custom built Spanish Mediterranean estate completed in 2008. Spacious luxury and an entertainer's delight, this gorgeous home is located within the prestigious gated community of Oak Tree Downs and adjacent to the Western Hills Golf and Country Club. Constructed with uncompromising craftsmanship and materials, this awe-inspiring residence greets visitors with a welcoming and elegant courtyard entrance and a gorgeous fifty-foot high rotunda foyer. Once inside, large multiple sliding doors light up the interior and provide an unsurpassed indoor-outdoor fusion with a architecturally crafted open courtyard patio with outdoor fireplace. A gourmet kitchen with a large island smartly entertains close access to the main dining area, great room, full sized bar and open courtyard. Boasting six master bedrooms all with en suite bathrooms and private balconies, family and guests will be pampered in luxury. Take the private elevator or staircase to the grand game room with another full kitchen, wine room, sauna, gym and twelve-seat in home movie theater. California luxury living awaits you with a spacious travertine tiled outdoor area with saltwater infinity edge pool, sports court, doggy compound and cabana with outdoor fireplace." "Welcome to exclusive living at Vellano! This custom-built modern design home sits atop rolling hills with panoramic views of local mountains, pristine meadows, and the Vellano golf course. The grand entryway welcomes you into a stunning foyer and fountain courtyard. Lower level rooms include: formal living room with fireplace; office with full bath; theater room with built in screen and projector; formal dining room; family room with four sets of french doors; large family kitchen with built-in upper and lower refrigerators & freezers, dual dishwashers, dual ovens, stove top, large basin sink, marble counters, custom lighting; kitchen dining area; butlers kitchen with Wolf 4 burner stove, cabinets, and sink. Yes...we do have an elevator as an alternate method to access the 2nd level. Across the courtyard is a very private suite with walk-in closet and full bathroom. The 2nd level features 3 bedrooms including the master bedroom and master suite each with private verandas and panoramic views from every direction. Detached is the magnificent pool suite with living space, full bathroom, rooftop entertaining deck, and steps away from the sparkling pool. 4 car garage, lush yard with pool, fire pit, water-conscious landscaping, and breathtaking views! This home is smart-built for lighting, mechanical, sound, communication, and security. This architectural gem is a shining masterpiece in Vellano and will surely be a perfect fit for any family with appreciation for elegance." "Stunning Mediterranean Custom Estate secluded behind impressive wrought iron gates within the gated community of Oak Tree Downs. This masterfully crafted three-level home features a covered portico graced by tasteful columns and welcoming double door entry that opens into the dramatic foyer with an elegant coffered ceiling, gorgeous alabaster chandelier and floating grand staircase with custom wrought iron railings. Enormous main living area with views that flow from room to room, includes elevator from 2nd level of home to the basement, five bedrooms and seven baths. The casual wing of the home reveals an elegant formal living room, formal dining, over sized informal living room with see through fireplace and an adjacent kitchen that shines with marble counter tops, furniture-quality cabinetry, a large island, butler s pantry and high-end Theramodor professional appliances. Title shows 5,661 square feet. Builder floor plan shows additional 218 non-heated square foot sunroom, 528 square foot non-heated game room and 1,934 square foot framed, insulated and partially improved basement totaling 8,341 square feet. All information is deemed reliable, but is not guaranteed. All measurements, square footage, etc. are approximations. Buyers are responsible for verifying the accuracy of all information and should investigate the data themselves and/or retain appropriate professionals." "PRICE REDUCTION!!! 6.88 acres of hilltop land offering a sense of seclusion with mature oak trees with valley views. 2294 Old Carbon Canyon Road offers a savvy developer the opportunity to build 11 single family luxury homes. This hilltop location boasts extraordinary views with quiet surroundings. A Tentative Tract Map is approved for 11 lots at approximately 11,000 square feet each with an average of 4,500 square feet of living space. Given the conceptual nature of this asset along with market trends, new home sales are estimated between $1.7M - $2M. 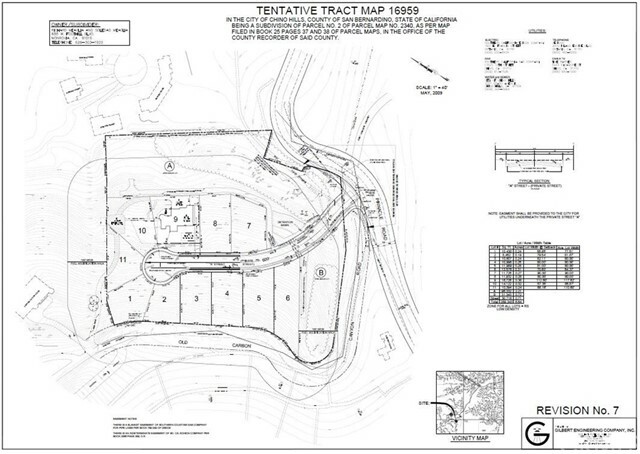 Property is sold as is, with current grading and architectural plans. Current improvements include a single family residence." "If your dream house is made of art and elegance, then this is your choice. If you are still looking for a stylish and luxurious house, then it will make your dream come true. Situated at the 24/7 Gate Community on the top of Chino Hills, the picturesque mountain scenery, especially at the night, lights of millions families are in your sight. Luxurious 6 bedroom and 6 bathrooms, beautiful rotating carved staircase, semi-surrounded room design, excellent feng shui. Designed by a famous company Barret American, it uses high-grade building materials and lamps to create a full artistic sense." "Chic and modern interiors set the stage for casually elegant living in this California-Mediterranean style estate with panoramic Golf Course, City Lights & Hill views. This impressive estate located in the exclusive community of Vellano Country Club sits on an expansive, private parcel. Stylishly built with custom quality, the home s design is accentuated by soaring ceilings and natural light, affording ample opportunity to relish in the home s extraordinary details. The grand foyer opens to the formal dining room featuring views of the exterior courtyard which features beautiful wrought iron Romeo & Juliet balconies. Enriched with exquisite wood / natural travertine floors, the family & in kitchen dining room blend seamlessly with the rear yard embodying the California lifestyle and embracing year-round outdoor living. Resort-style saltwater pool/spa, outdoor kitchen, fire pit & lushly landscaped w/stunning water fountains. The versatile floor plan features comfortable living space that offers an office, library, bar, wine room, master retreat and a Theater room which has a 103 inch drop down movie screen W/JVC HD projection. Complete high tech automation system w/custom lighting system programmable from cell phone. Revel in the sumptuous master suite with cedar lined walk-in closet, master retreat w/wet bar and jetted bath/custom shower w/high-tech automated controls. 24-hour guard gated security, close proximity to the clubhouse & athletic center, shopping and restaurants." "Undoubtedly one of the most well styled and extraordinary estates ever come to market in Payne Ranch. This brand new custom property has unparalleled quality in design elements and materials. Total living over 6,000 SF, 5 bedrooms, 5 full bath,2 half bath,1 library/office downstairs, home theater and loft upstairs. Luxury wrought iron front doors, marble entry floor, High ceiling with crystal chandler. Home office/Library has beamed ceilings and built-in book shelves. Living room with fireplace. The gourmet chef s kitchen with state of art appliances, 48 Jenn-Air built-in fridge, professional style convection range with 6- burner and griddle, built-in microwave, wine cellar & center island. Formal dining room has hand-craft ceiling and beautiful rolling hills views. The wet bar with Jenn-Air wine cooler. Spacious family room has recessed lights. Windows and doors have layered moldings. Luxury wrought iron staircase. Beadboard panels in hallway and rooms. Upgraded solid wood doors with premium knobs. Custom two-tone paint. Complete H-tech home automation system. Master bedroom has private balcony. Mater bathroom has bath tub and separate shower room with steamer. Each bath is specially designed w/ unique style. Upstairs home theater is fully equipped. Beautiful view of mountain & rolling hills. Prestigious Payne Ranch gated community. Close to City Hall, library, and schools." "The circular drive of herringbone patterned bricks welcomes you to this stunning custom estate! This contemporary Tudor styled estate is adorned with brick and solid wood windows. Nestled up the the canyon, views are endless and unobstructed! Floors are covered in polished stone, tile and carpet. As you enter the double door grand entry, swept upstairs by the beautiful staircase that leads you to the private rooms of the residence. Jack & Jill bedrooms with a shared double vanity and full bath. There is a grand landing area and a huge bonus/game room with large walk in closet and a balcony that looks out to the backyard and views of the canyon. Steps away are Laundry room and full bath. Upstairs Den bedroom is fully appointed with wet bar, small refrigerator, & gas fireplace. Master Suite also has a gas fireplace, view to the canyon and amazing bathroom suite. Step up to a deep soaking tub, double sink vanity, private toilet, and step in shower. A second flight of stairs leads you back to the 1st floor grand family room with a wonderful fireplace and view to the backyard. Just steps away is the chef's kitchen w/ built in refrigerator, granite counters, island peninsula with prep sink & walk in pantry. Built in double oven and microwave with relaxed kitchen bar + dining area. Adjacent is a beautiful formal dining room with sky high ceilings and windows. Wonderful natural light floods this room & adjoining formal living room w/ yet another fireplace! Must See!" "Luxury Live Auction! Bidding to start from $2,700,000! Located in Vellano, the area's most prestigious Private Country Club Community. This stunning newly constructed, Spanish-inspired home boasts over 8,000 sq ft. of living space & has the perfect balance of country living with the convenience of the city. The property features 5 bedrooms, 5.5 baths, mudroom, swimming pool with spa, outdoor kitchen with built-in BBQ, 3 indoor fireplaces, 2 outdoor fireplaces & a 4-car garage. Relax while taking in the amazing view that overlooks the natural landscape & lush plant life. The grand circular foyer leads to the living room & formal dining room. The living room has 19' open beam ceilings & 24 bi-fold glass doors that open to a center courtyard with a fountain & fireplace. Enter the formal dining room through its arched doorway with adjoining butler s pantry. The open concept kitchen with its casual dining area, custom wood cabinets, stone counters & state-of-the-art Thermador appliances is a chef s delight! This artfully crafted design boasts a game room with built-in bar & wine storage, as well as a home theater. Upstairs, you are greeted by a spacious loft area, two en suite bedrooms & an entire wing devoted to the master suite. The lavish master bedroom has a fireplace, dual walk-in closets, a luxurious MTI Elise artisan sculptured stone free-standing tub and an impressive floor-to-ceiling marble walk-in shower with a multi shower head system." "Stunning Custom Home located in the upscale Private Country Club Community known as Vellano. Featuring an 18 hole championship golf course designed by world famous pro. golfer Greg Norman. Vellano is known as the most exclusive residential enclave in the Inland Empire & is considered to be the Beverly Hills of Chino Hills. The neighborhood is surrounded by rolling hills, panoramic views of the golf course, canyons & mountains by day & breathtaking city light views by night. Main features include 5 spacious bedroom suites, 5.5 nicely appointed bathrooms, 5900 sqft. of elegance and luxury. Home feels much larger due to the open floorpan, 3 car garage & an enormous 16,223 sqft. lot. The elegant exterior shows like a very Grand Custom Home. Custom quality interior features include a grand entryway with an elegant sweeping custom wrought iron staircase, beautiful hardwood floors throughout 1st level, sculptured carpet on 2nd level, spacious great room & dining room, gourmet kitchen with granite counter tops & commercial grade stainless steel appliances including 8 burner Wolf oven plus a separate Chinese kitchen with 2 additional ovens and Sub Zero refrigerator. Upstairs features a spacious loft plus a multi-purpose media room." "What A Rare Opportunity! Totally Remodeled! Everything Is New! 51,836 SF lot! This unique executive Mediterranean home has 5 Bedrooms, 4.5 bathrooms (1 bed 1.5 bath downstairs), plus a home office downstairs, a loft upstairs. Four car attached garage. Double front doors with stained glass panels. Formal entry with cathedral ceiling. Elegant spiral wrought iron stair case. Large living room with wood floor, formal dining room with custom chandelier. Gourmet kitchen with granite counter tops, center island, Thermdor built-in refrigerator, double ovens, and built-in microwave. Family room with built-in media niche, stone framed fireplace. Upstairs has four bedrooms, including master bedroom, a junior suite, Jack and Jill, plus a loft with built-in cabinets, which is ideal to be another entertainment area. Large master bedroom with private balcony. Other features include: Home automation system,custom two-tone paint, custom window draperies and blinds, window casings, crown moldings, surround sound system, recessed lights, ceiling fans, two flights of stairs. Professionally landscaped gardens, super large and private back yard, like 5-star luxury resort: salt water swimming pool & spa, built-in BBQ island, fire pit, gazebo, basket-ball count, bocce court, horseshoe pitch court, lots of trees. Beautiful city lights and woods views. Located in the prestigious gated Payne Ranch community, close to The Shoppes at Chino Hills, City Hall, library and schools. A MUST SEE!" "Payne Ranch property, walk into this elegant staircase. Large living room with tile floor, formal dining room with custom chandelier. Large and open kitchen with center island, double ovens, 5-burner cooktop, and built-in microwave. Family room with built-in media cabinets, gas/wood fireplace. Upstairs has four bedrooms, including master bedroom, a junior suite, Jack and Jill, plus a loft with built-in shelves, which is ideal to be the entertainment area. Large master bedroom with private balcony and a fireplace. Master bathroom with bathtub and separate shower room, two toilets. Other features include: custom two-tone paint, custom window draperies, window blinds, plantation wood shutters, window casings, crown moldings, recessed lights, and two flights of stairs. Professionally landscaped gardens, large and entertaining back yard with pebble-tech swimming pool & spa, built-in BBQ island, fire pit and gazebo. 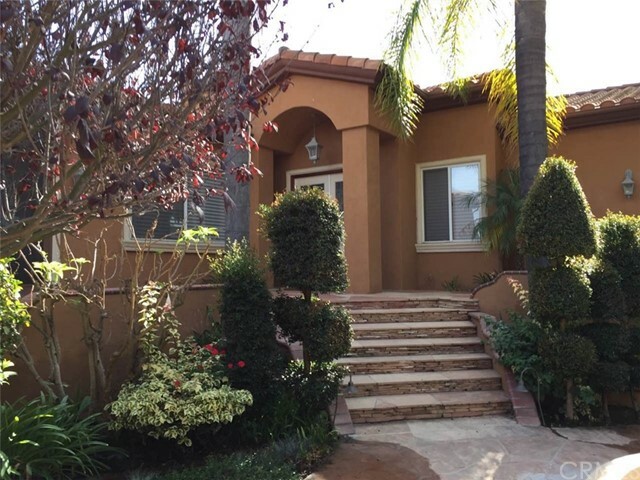 Located in the prestigious gated Payne Ranch community, convenient location, close to The Shoppes at Chino Hills, City Hall, library and schools." "**Unbelievably gorgeous panoramic views of San Bernardino and the nearby golf course await you at this Single level Semi-Custom Luxury Home in the prestigious Vellano Country Club of Chino Hills** A monstrously large lot of 20,363 sq. ft. encompasses a 4,277 sq. ft. home which includes 4 bedrooms, a bonus room and 4.5 baths. **A four car split garage elevates the status as do the artistic touches including crown molding, custom paint palates, built with structural insulated, built-in bookcases, a custom media center, and the enhancement of the computer networking/internet system** The elegance of the natural slab stone complements the Cesar stone edgework in the Master powder room, and the custom Renaissance Walnut-Brunette hard wood below stairs has a UV quartz finish. **The no expense spared kitchen has a 6 burner Wolf gas stove, double gas oven, and natural stone countertop to continue the theme of the home along with Rimini Style cabinets** Hot summers will be a breeze in the large 21 x40 pool complete with waterfall posts, jets, and an 8 person Jacuzzi. Landscaping features also include natural stone enhancements, bricks, a grass area, patio, built-in gas fireplace and standing lights. The overtly neutral tone is awaiting your personalization at this lovely home atop the hills!" "First time on the market in over 40 years! Original Ranch House on English Road, built in 1939 and well located on a lovely knoll over looking the valley and pastures that make up this one of a kind setting. The single story 3100 sq ft home rests on 4.32 acres of land with old growth trees, surrounded by pastures. The home can be updated, remodeled or build a new home to take advantage of the views. The existing home has a flowing floorplan with large rooms, formal living room and dining room. A wonderful family room set up for entertaining with brick fireplace and built ins. Three car garage and storage building. The original old barn on the property has been converted to living quarters and is straight out of the Wild West. Numerous out buildings such as a workshop, (8) stall breezeway barn with paddocks, (10) stall breezeway mare motel, Tackrooms, feed room, office, workers quarters, RV covered parking, barn bathroom, many paddocks and pastures for horses or turn them into orchards. Agricultural water rates and full owned Solar System runs the property and keeps maintenance cost low. 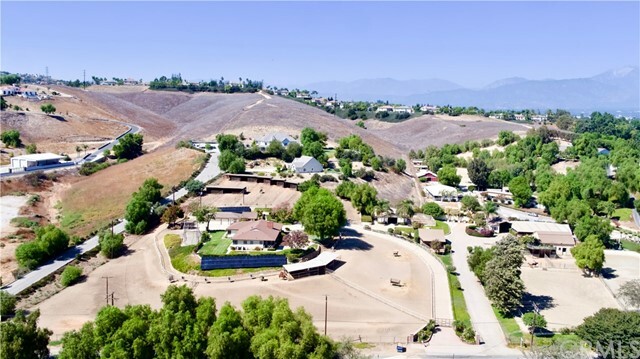 Fully fenced and cross fenced, electric gates, separate driveway to horse facilities. Training arena with sprinklers, Hay and shavings storage. Lots of area for the kids to play including a batting cage and basket ball area. Live the Old California Life Style in a master planned community with every possible convenience less than 1 mile away. Top rated schools! See Video for info." "Hugh price improvement!! 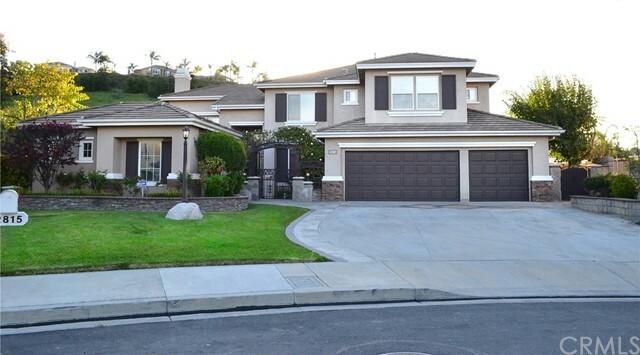 Fantastic location right in the heart of the Master Planned Community of Chino Hills. 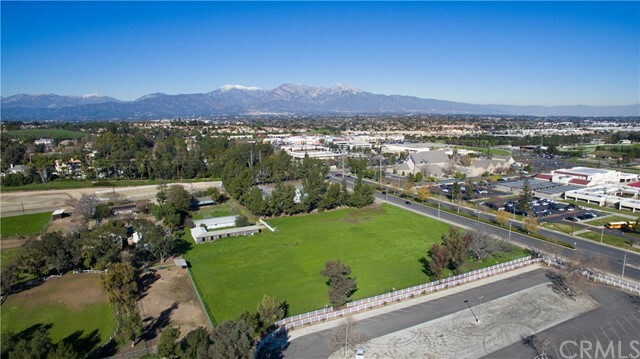 On 4.35 +/- acres of all flat and usable land directly across from the new City Hall, Civic Center, Library, and The Shoppes of Chino Hills. Wonderful restaurants, stores and top rated schools all within walking distance. Approximately 350 feet of Peyton Drive frontage in downtown Chino Hills. Existing home is a single story ranch style 4 bedroom, 2 bath in good condition and currently rented. Newer low water use landscaping in front yard. Bring your ideas, horse ranch, build a large estate home, or see the City for other possible uses. This is the last Horse Ranch on Peyton Drive not to be developed into a higher and best use. See attached supplements for additional uses at current zoning, Topo Map in Supplements and virtual tour video is a must see. See agent remarks." 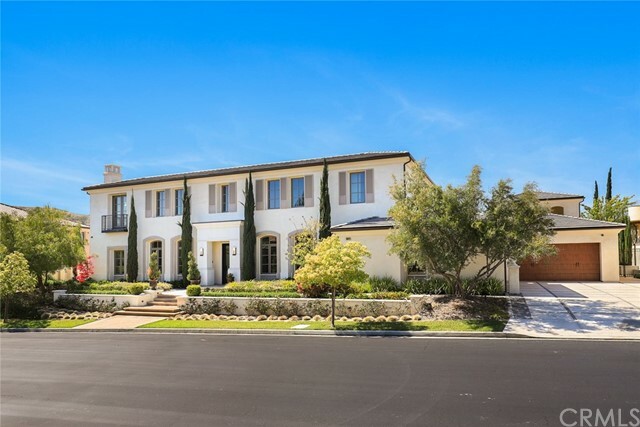 "This prestigious golf course estate situated adjacent to the Western Hills Golf Course. As you walk through the double front doors, the home opens to a spacious foyer. The main floor features the Master Suite, Library/Office, Dining Room, a Gourmet Kitchen and Family Room. The master suite features a fireplace and a large walk-in closet with custom cabinetry. The master bathroom offers a jetted tub and a separate walk-in shower. The spacious living room features a fireplace. The gourmet kitchen opens to the family room. The front courtyard with a fountain and built-in BBQ. The in-ground swimming pool and spa located in the back yard. The lower floor features four bedrooms, a second family room, laundry area, garage access. Two of the bedrooms have private bathrooms. One of the bedroom has been converted to an office with custom cabinetry. This home also features a separate guest house with a walk-in shower. This home allows for seven car garage parking. The attached garage allows for 3 cars while the separate garage allows a 4 car tandem garage parking. The tandem garage opens at front and rear making it an ideal workshop. Too many details to describe MUST see for yourself." "Awesome mediteranean estate home is nestled in the exclusive Vellano Country Club community. As you enter this home front steel gate the dramatic open foyer await you. There is an outside fireplace and fountain that is well surrounded with plants, hardscape and landscape that will thrill your senses. This home was built with high standard of quality and craftsmanship. No detail has been spared on this stunning 5200 sqft home. be ready to get mesmerize as you enter the front glass and steel door the atrium with hanging Imported Italian chandelier on a two story high tray ceiling. be ready to indulge into the mediterranean faux painting through out. As you walk thru the living room notice the high beam ceiling with extensive use of wood. The dining room with a big fireplace is adjacent. Have fun with family in the family room with fireplace as you watch your favorite show on TV. The gourmet double island kitchen with top quality Viking stainless steel appliances awaits the chef of the home. Butler's walk-in pantry and most elegant cabinetry and fixtures. Dry bar and wine room. In the first level there is a library with access main foyer of this home. Master suite is also on the main level with two walk in closets and a romantic fireplace and TV area. There is an office adjacent to Master Suite. The patio has a built-in BBQ grill, refrigerator, granite counter, long bar, has a built in TV. View of the gold course and city lights in the back. 4 car garage with RV potential." "Beautiful, escape, relax and unwind in your luxurious, highly-upgraded home situated within the exclusive Vellano Country Club with 24 hours guard community. Enjoy the pleasures of gracious living in this magnificent nearly 5,000 sq. ft. 6-bedroom and 6 1/2- bath home featuring soaring 20 ft. ceilings, marble and hardwood floors, custom paint, upgraded carpeting, and crown molding. The designer kitchen boasts granite counter tops, custom cabinetry, a Sub- Zero refrigerator, professional-series stainless steel appliances, including a five-burner stove with a built-in griddle, and a large walk-in pantry. An oversized nook opens to a large family room with an impressive fireplace and wood beam ceilings. Upstairs, you will find a spacious media room with built-in speakers and a balcony offering views of the Greg Norman Signature golf course. The master suite has a private fireplace, mountain views, designer marble flooring, dual walk-in closets, and his-and-her vanities. With over 3/4 acre in land, there is ample room to design and build a complete outdoor entertainment area, including a swimming pool and outdoor kitchen. Incentives offered for closing before June 30th. Contact us for details.."
"Resort style home with approximately $700,000 in upgrades! Located on a quiet cul-de-sac in a gated community you will find the perfect balance for indoor and outdoor entertaining. Magnificent home with 5 bedrooms, 5 bathrooms, an office with built-ins, a library/retreat off the master plus a separate detached casita. 3 car garage with a driveway that holds 6 cars. The acre ultimate dream backyard has a lighted sports court, lighted putting green, built in bar-b-q, lighted Gazebo, beautiful landscaped with LED lighting and a remodeled pool/spa with 4 waterfalls and 2 Palapas. Close to the distinguished elementary school and middle school and just down the street to the high school, also close to shopping in Chino Hills and easy to catch the 60 or 71 freeways. No mellow ruse or supplemental taxes, low HOA." "Large Promontory lot on prime golf course location. Long private driveway give you complete privacy. Home built by developer for himself. Fantastic floor plan for entertaining or raising a family. Large pool and spa over looking the golf course. Extensive landscaping with out door kitchen and fireplace. Must see to appreciate. Description does not do this property justice. CALL TO TOUR. DO NOT TEXT." "What a beautiful home in the exclusive gated community of Payne Ranch Estates. Award winning school district. Shopping Center w/ outdoor mall, Civic Center & Library all within walking distance. No better place to be than within the heart of the master planned community in Chino Hills. Upgraded flooring, new paint throughout. This custom home is an Entertainer s delight, circular driveway, fountain surrounded by roses & a grand double door entry to greet your guests. Formal Dining & Living Rooms w/ additional Great Room for music & large family get together. Beautiful rock & brick fireplace & wet bar are focal points of the family room which flows into the large kitchen w/ Nook & stone breakfast counter. Magnificent floor plan, 4 bedrooms incl. Full suite downstairs, enormous Master Suite w/ double sided fireplace shared w/ retreat, wet bar & balcony w/ view. The children s wing has 2 bedrooms & full bath. Executive library/office w/ built in bookcases. Backyard has it all, pebble tech & rock pool & spa, large patios for entertaining w/ fire pit, built in BBQ, sink, big lawns, mature trees for privacy, gated RV parking, extra tall & deep three car garage w/ tons of storage cabinets & attic storage above w/ pull down ladder. Every member of the family will enjoy this custom home on a beautiful cul-de-sac. Welcome to your home!"